In the last couple of months, Japanese women flocked in unusual numbers to the Higashiyama Zoo and Botanical Gardens in Japan to see the main attraction in the flesh: a western lowland gorilla named Shabani. 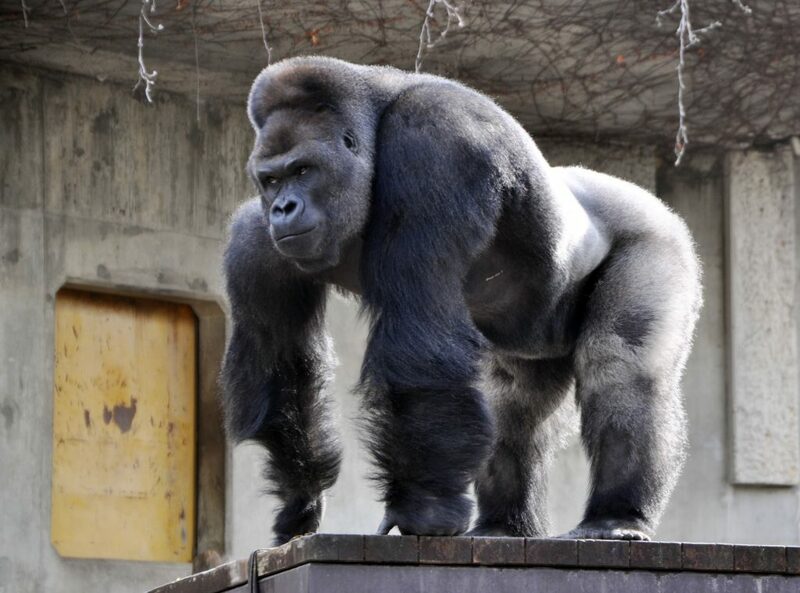 Apparently, the young Japanese women are going crazy after the gorilla’s alleged good looks. On social media, Shabani is a star, often called an ikemen (pronounced “ee-kay” meaning “cool” and the English “man”), which is slang for “handsome guy”. 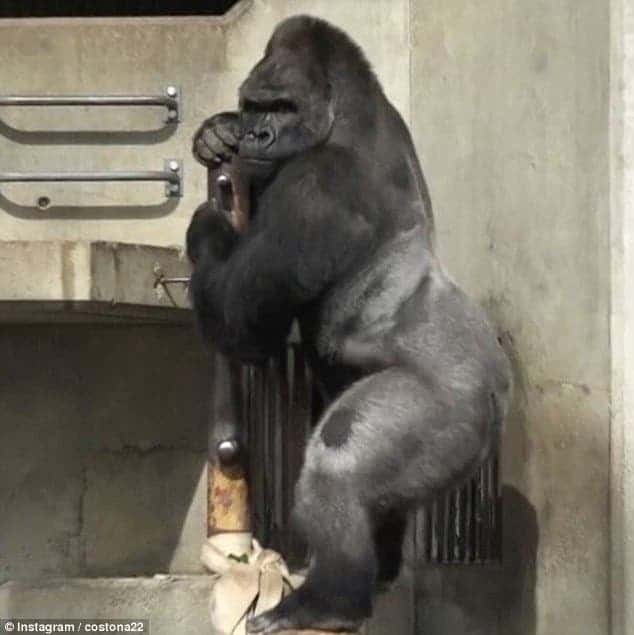 It all started back in March when a flood of twitter and instagram posts launched Shabani to nation-wide fame, as Japanese females – hopefully not entirely serious – complemented the gorilla for his dreamy sensitive eyes and rough good looks. Photos of Shabani looking after a young has also earned him status as ikumen (“iku” meaning “raising children”). Basically, if you’re both ikemen and ikumen you’re a definite keeper in Japan. He was born in the Netherlands 18 years ago and came to the Higashiyama Zoo in Nagoya, Aichi prefecture, in 2007 as a gift. In gorilla years, Shabani is in his mid to late thirties, or in the prime of his strength. On social media, the Japanese women use the same words of admiration that popup when speaking of the likes of George Clooney or Hugh Jackman or Japan’s own Ken Watanabe: “shibui” (meaning “bitter”) and “nihiru” (derived from the English “nihilistic”) used to describe “dark and handsome” men. ‘I went to Higashiyama Zoo. This hot Shabani ikemen was certainly handsome,’ one woman wrote. 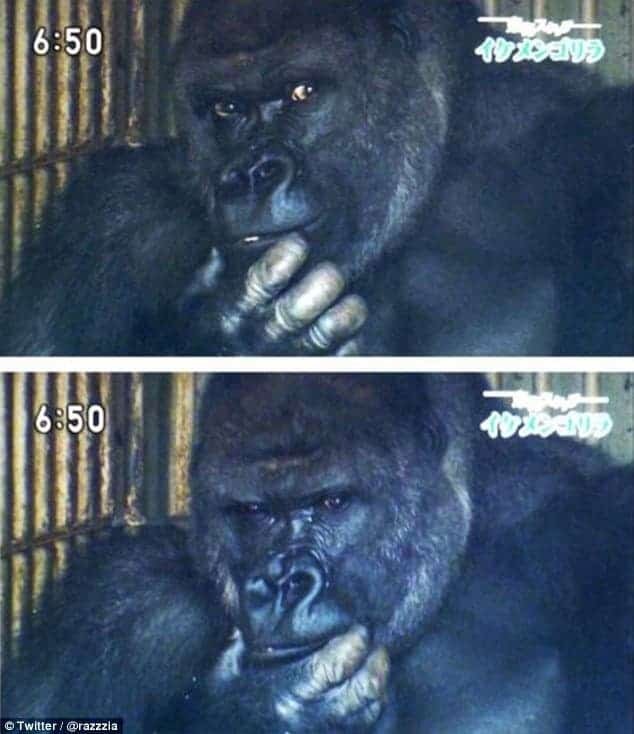 I honestly hope the Japanese women don’t actually think of Shabani in the same way they’d do of a crush on a human male. I mean, that wouldn’t actually surprise men considering all the weird stuff going on there. 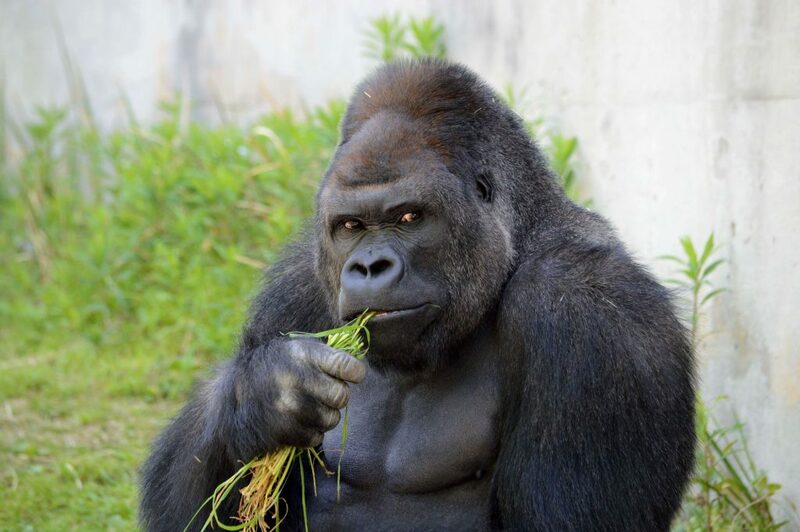 But seriously, Shabani really is photogenic and this kind of publicity isn’t bad at all. The Western lowland gorilla is critically endangered by poaching, habitat destruction, and disease. At the same time, it’s the most numerous and widespread of all gorilla subspecies. Even if all of the threats to western lowland gorillas were removed, scientists calculate that the population would require some 75 years to recover, according to the WWF.